Hallo! Guten Tag! Buon Giorno! 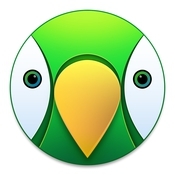 你好 - AirParrot 2 is now localized in 13 additional languages! In addition to English, users can now use AirParrot 2 in their native Japanese, Chinese (Simplified and Traditional), Korean, Dutch, Czech, French, Hungarian, Spanish, German, Italian, Polish and Danish languages!